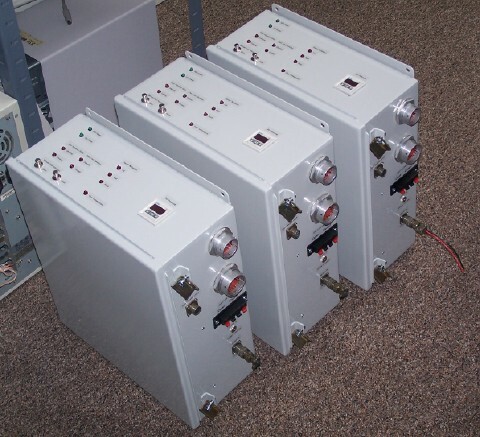 Three units used to test a piece of IC fabrication equipment. 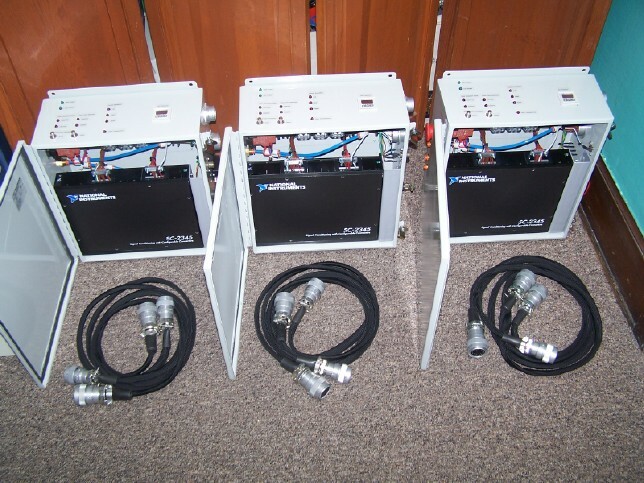 It reads three thermocouples, three RTD's, controls three heater elements and allows remote control of a pneumatic door. It contains safety interlock and EPO features. Here is the whole package. It can also read the position of the door using an LVDT so that door open/close rate profiles may be plotted. 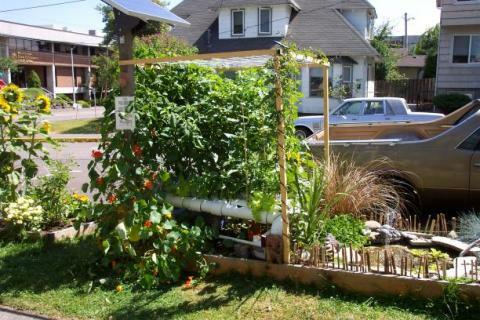 This is a small hydroponic garden powered by solar. It uses a 55 Watt solar panel, charge controller and 12 AH SLA battery. 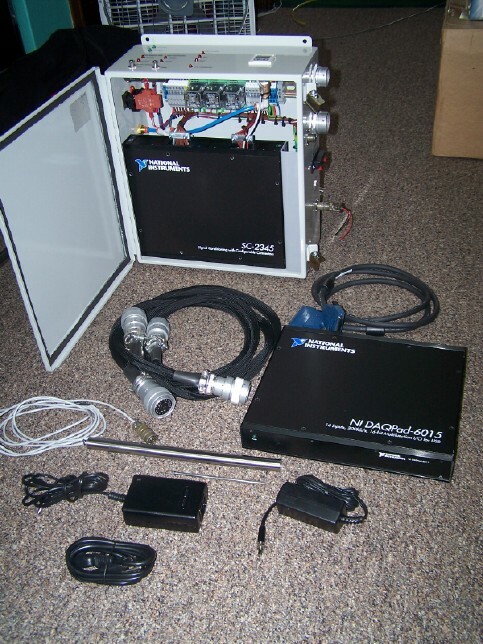 It has a custom timer control with a built-in datalogger for capturing performance and environmental data. A test of the thermoelectric generator on an electric range burner which has been turned on high. You can't see it but the fan is spinning like crazy! This is how the generator was designed to be mounted. It is to be mounted vertically on the back of a mobile wood-fired oven to provide food preparation lighting. This allows the oven to be used in the most remote areas. Here is a view showing the generator lighting 14 white LED's.